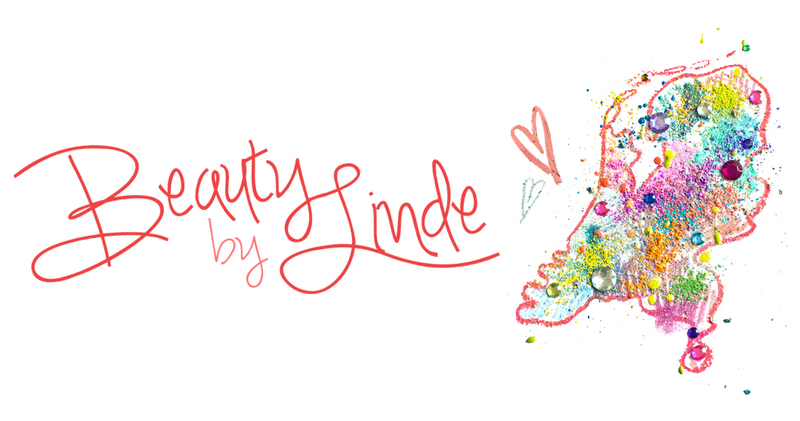 Beauty by Linde: Vera Valenti Palette Review + FOTD! 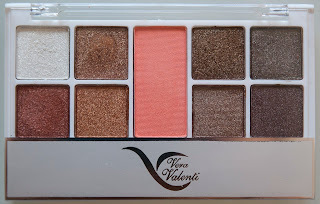 To kick off my great catching-up-course, here's a post I've been wanting to finish for ages; a review + face of the day using the Vera Valenti eyeshadow palette from the August Glossy Box (summer .. *sigh*). Enjoy!! Aaaaand I'm back! I've been away for the past few weeks and I had to live without my camera and my computer with all my pictures on it. 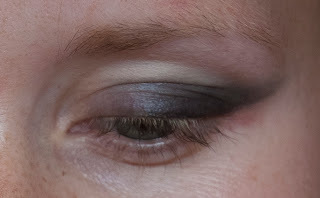 But no stress, I'm back with a post that I wanted to share with you ever since I received my August Glossybox, which contained something I was very excited about when I saw it: An actual eye shadow palette! So I got into it right away and put it to the test. This is the one. It's a cute, small palette with eight eyeshadow colors and a sweet coral blush in the center. All the colors have a satin/metallic finish and are very soft and pigmented. The first thing I noticed about this palette, however, is that the colors are very similar. 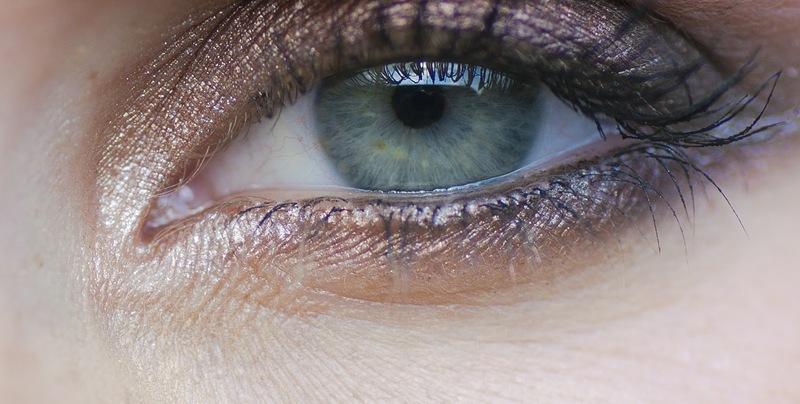 The three bronze shadows on the left en all four greyish-brown shadows on the right differ so little, that you can't really tell the difference once applied. Apart from that, I feel like this palette has one more flaw: it doesn't contain any matte shadows, which are - in my opinion - crucial for creating the perfect smokey eye. The blush, however, ìs matte. Bonus! 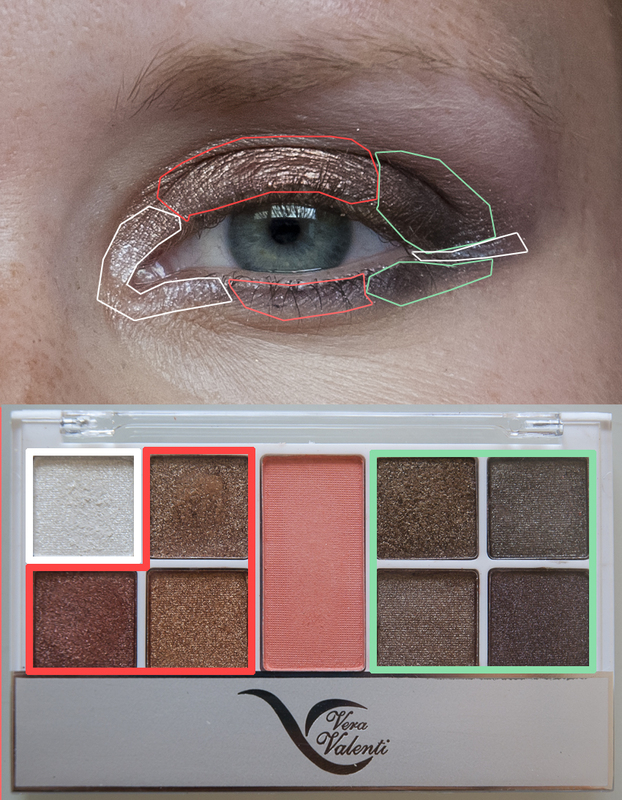 Let's stop the chitchat and move on to the look I created using this palette. Enjoy the picture tutorial! 1. Prime your eyes using the primer of your choice. Here I used Too Faced Shadow Insurance. 2. 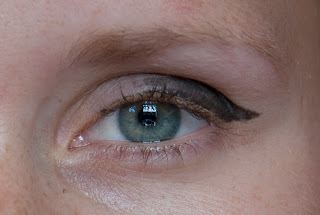 Apply a black cream product to the outer half of your lid. I used a kôhl pencil and winged it out slightly, but you don't have to. 3. 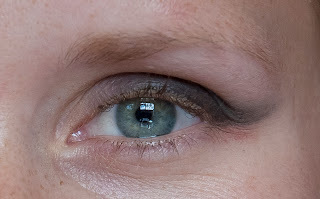 Blend out any harsh edges using your finger or a blending brush of your choice. 4. 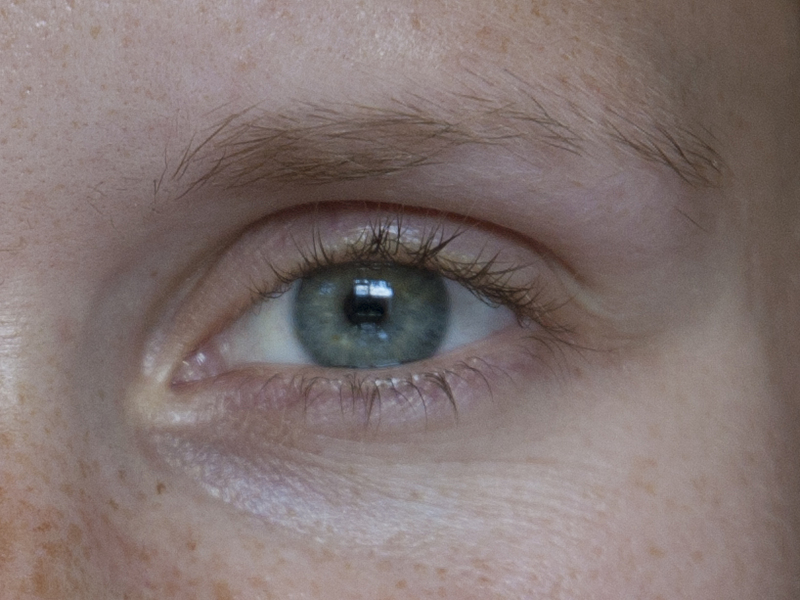 In this picture you can see where I applied all the colors. I blended the bronze colors and the greyish-browns together and used them as one color, since they were so alike anyway. 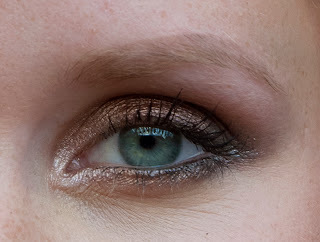 Start with the frosty white in the inner corner and work your way out. 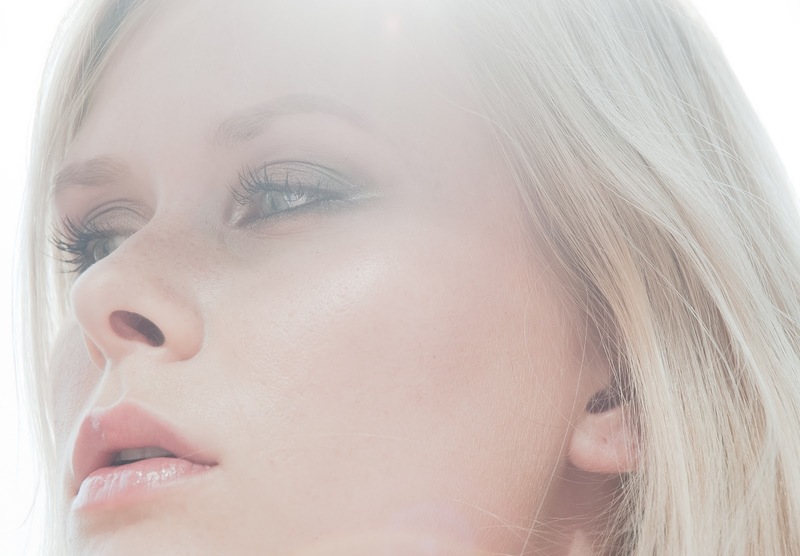 This way you can use the same brush for pretty much all the shadows! 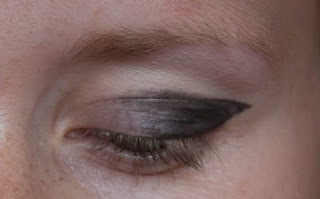 Leave a gap at the outer corner and fill this in with the frosty white shadow and a liner brush. Slightly dampen the brush to give you a more crisp and vibrant line. 5. Lastly, I applied mascara and lined my waterline with a black kôhl pencil. Fill in your brows, finish the rest of your face and you're done! Overall, I think this is a nice quality palette with pretty colors that'll suit pretty much every complexion. However, despite its compact packaging, this is not a palette that I would take with me in my makeup bag, simply because it doesn't offer a very wide range of shades and because every shade has the same finish. Don't get me wrong, the shadows are very easy to work with and they're pigmented as well, so if you like the colors and if you're a frosty kind of girl, this will be a great palette for you! I hope you enjoyed this face of the day, and even more so, I hope you'll return for my next post! Great look and al great little palette, I wouldn't take it with me on a trip or in my bag, because I would be worried about it breaking. The packaging isn't that great. I do love the colours and I do like to look you made (and even the one I make) but it's not enough really for a lot of different looks.